Eddie Brock, a journalist, stumbles upon a story that lands him in big trouble, and he becomes the host to an alien Symbiote, which in turn gives him unimaginable powers. Bringing Marvel’s one of the most enigmatic, complex, and badass characters to the big screen as Tom Hardy plays the role of the lethal protector, Venom. Venom is a spin-off movie on the villain from Spiderman, the highly popular Marvel superhero. 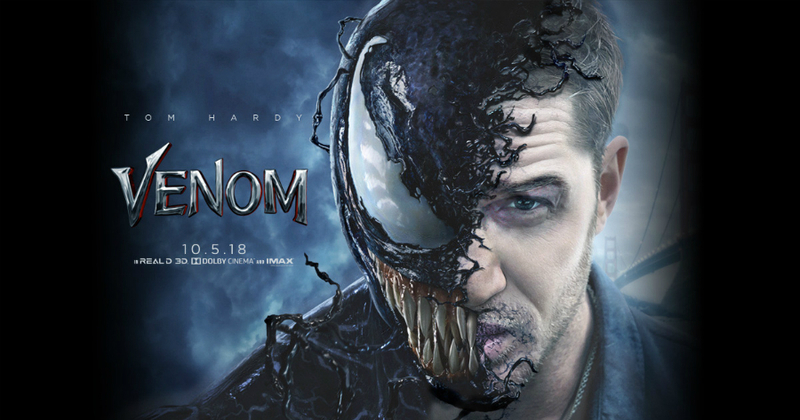 Check our Venom movie review here. In Venom, you will witness a messy, not very interesting battle between Venom and another, more malevolent symbiote. It’s supposed to be exciting but isn’t. It should also be noted that Venom isn’t strictly part of the Marvel Cinematic Universe, but rather an MCU offshoot produced by Sony. Venom is mostly a villain, a frequent foe of Spider-Man, but it seems like the movie doesn’t want to take him down too dark a path. If you are a spiderman movie fan or just a huge Marvel movie lover, then this might be entertaining for you.